Tucked away in a quiet block of Henderson, there lies a block that knows a thing or two about Halloween. "The police estimate about 7,000," said Lynn Kimins, resident mayor of Halloween. 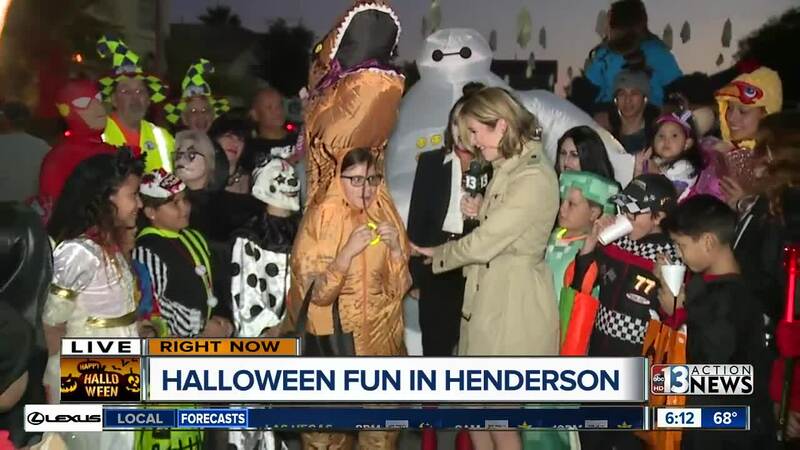 That's about 7,000 people Henderson police were expecting on Yellow Marigold Court on Halloween night. Officers arrived early to block off the street so families can stroll safely. Kimnis said seeing the kids so happy makes the month of work setting it up worth it. "I have no children of my own but this is fabulous," Kimnis said. "I love it, which is why we do it." And if Kimnis is the mayor of Halloween, her right-hand man is her neighbor Jeff across the street, who converts his two-car garage into a haunted house. "Every year we put something different in it," Jeff said. "The people really love it, the parents love it. It's a place for their kids to come that's nice and safe." The garage turned haunted house had many of the same features as a haunted house you'd pay to walk through - dangling skeletons, flashing lights, zombies in coffins and scary sound effects. 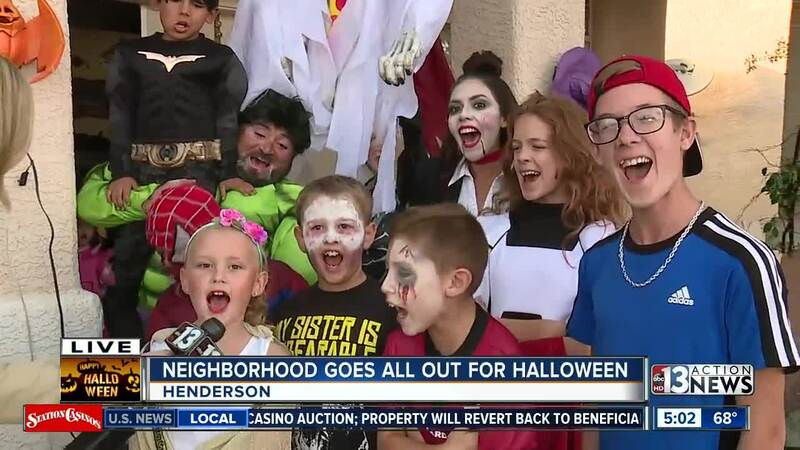 Jeff's whole family even gets in on the action, popping out to give kids a fright. A couple doors down, a neighbor also set up a shaved ice stand. As costumed kids and adults filled the driveway waiting for a snow cone. Kimins said the Halloween block party hits its peak around 8 p.m. but lasts sometimes until as late as 11 p.m. That's when the adults pack the decorations away - at least until next year.